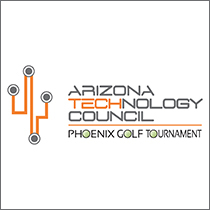 Generate new leads and connect with other business leaders in the Arizona technology community this January at the Arizona Technology Council’s eighth annual Phoenix Golf Tournament. Being held on Wednesday, January 18 at Troon North Golf Club, the Phoenix Golf Tournament boasts one of the most coveted golf courses in Arizona at an unbelievable price for the season: only $150 for AZTC members (which includes a networking lunch and a sleeve of golf balls). The golf scramble format allows each group to focus on building relationships without the pressure of players keeping individual scores. You’ll want to register now: the 2016 Tournament sold out with over 125 golfers. To sign up your company for the Phoenix Golf Tournament register here today. Interested in aligning your company with this event as a sponsor? Email events@aztechcouncil.org. Sponsorships range from $400 to $3,500.